You can “mouse over” the dot in each county to see the distribution of votes in that county between Abraham Lincoln, Republican; Stephen Douglas, Northern Democrat; John C. Breckenridge, Southern Democrat; John Bell, Constitutional Unionist; and Gerritt Smith, Abolitionist or Union Party. 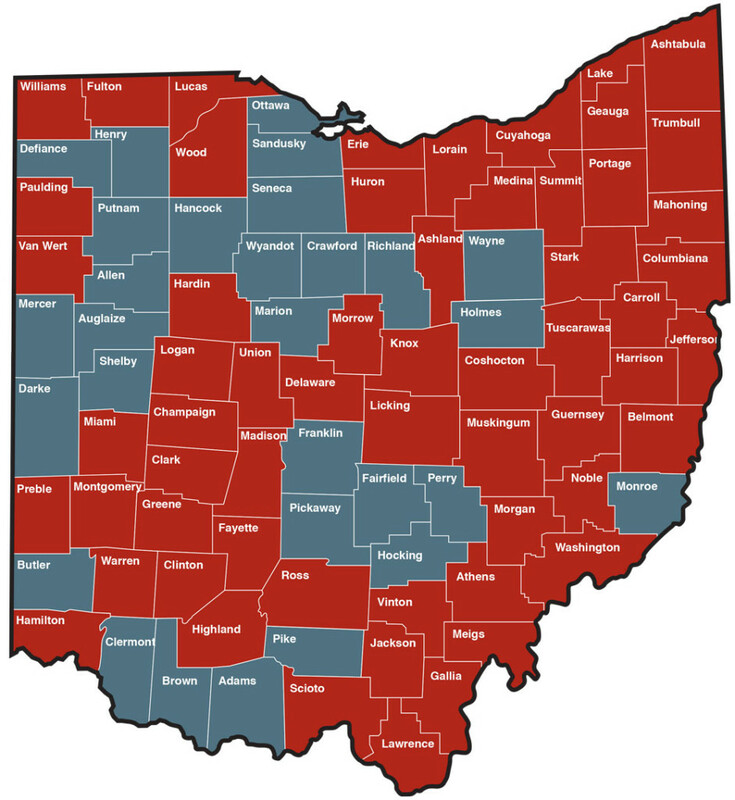 Only Lincoln and Douglas actually won counties in Ohio. Information on this page is from: Annual Report of the Secretary of State, to the Governor of the State of Ohio: For The Year 1860, as published in the Message and Reports To The General Assembly and Governor of the State of Ohio For The Year 1860, Part I. (Columbus: Richard Nevins, State Printer, 1861), pp. 280-305.